Buy Free Standing Stoves and heat your home without using any electricity! The home heating stoves we sell provide a dependable and powerful heat source and also enhance the look of your home. 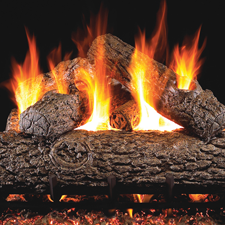 Think about it, the crackling of wood as you relax in the warmth of your heat stove; it sounds nice doesn't it? When you buy wood heat stoves or any other type of heating stove from HVACDirect.com you're not just buying a stove, you're buying a reliable heat source that will be with your family for decades. Check out our extensive inventory of free standing stoves including wood stoves, pellet stoves, multi-fuel stoves, cast iron stoves, gas stoves, and also circulators. Figure out how many BTU you need and save today when you buy with HVACDirect.com!